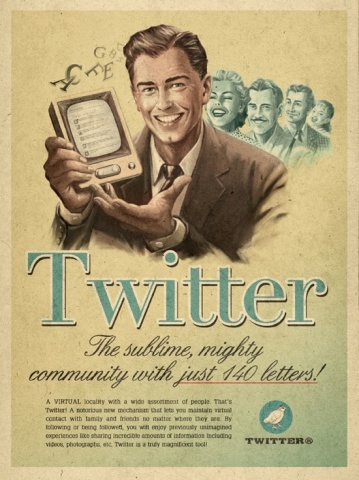 Have you ever wondered what social media would of been like if it were around in the 1960's? Truthfully I never did until I read an article on penn-olson.com. 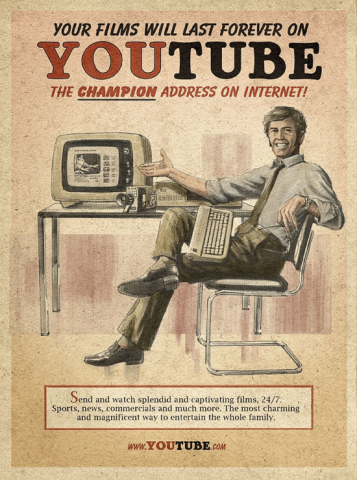 A Brazilian ad agency called Moma Propaganda created an ad series based on how they would look in this era. 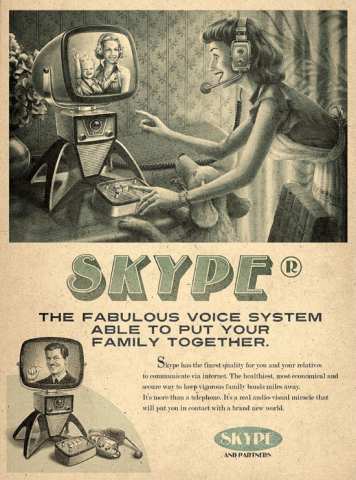 The series includes Twitter, Facebook, YouTube, and Skype. I noticed that on top of the vintage colors and graphics (which I absolutely am a fan of) the taglines for each poster were mocked in relation to that period of time. 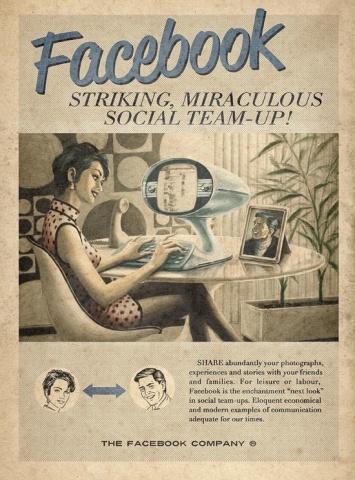 I love the computer in the Facebook ad. lol Which one is your favorite?